As we headed into the building underneath the bright marquee sign, we were invited to “Come in and get lost”one last time. Each day had different programming. Friday night was the “Toronto for Everyone: aMAZEment & Craft Beer Tour.” The emptied out building was turned into a maze and, as always, with the multi- levels and passage ways connecting the east and west sides of the building, it was certainly easy to get lost in. When I first moved to Toronto to attend The Randolph Academy for the Performing Arts, I spent many hours searching for treasures and usually ending up completely turned around in the maze that was Honest Ed’s. This time around though, it was actually fun getting lost as we made our way through the maze filled with art displays as well as the few remaining puns, posters from the many shows the Mirvish’s brought to the city and signed photos of celebrities Ed Mirvish met along the way. 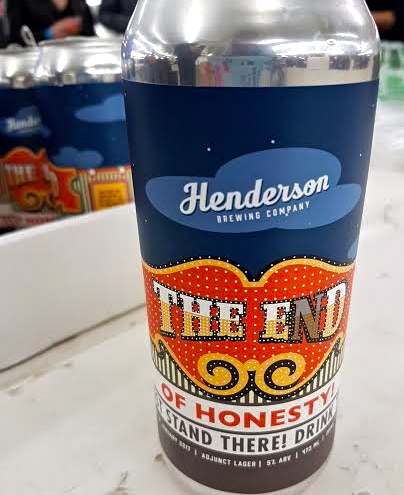 We also sampled beer from the 10 different breweries located around the building, including a special ‘The End of Honesty’ beer brewed by Henderson’s Brewing Co. Such a great way to say goodbye to the one-of-a-kind, Honest Ed’s, a piece of Toronto’s history that will definitely be missed!